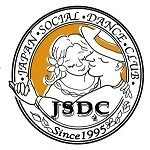 FAQ - Japan Social Dance Club (JSDC) is a professional dance studio specializing in American Style Social Dance. Getting started is very easy! The first step is to attend a free orientation class OR start introductory course right away. If you are an experienced dancer, the instructor will determine your current level and recommend an appropriate course for you to continue. Yes. Dancing is as easy as walking once you are taught how by a JSDC expert. We teach simple, basic elements from which the steps are derived. There is no age limit. Our oldest students are over 80. The youngest is a high school student. How long will it take to learn how to dance? This is up to you. Your rate of advancement is dependent on a number of factors. We can introduce you to the basics in a variety of dances, or we can work on a specialized dance that you want to learn. We're here to accommodate you. Tuition is flexible and can be payed in advance or a la carte for most classes. Please see our programs & rates page for details. We teach a wide variety of dance styles, including the ones listed below. Which level should I start? If this is the first time for you, we recommend you take Intro Course. You can start from how to walk as a pair (it’s more difficult than you think!) in this 4 week course. After that, you can advance to beginner level, beginner / intermediate level, then intermediate level. The chart above is the most typical case for those taking group lessons. If you take lessons (group and private) more than twice a week, you can move forward according to your skills. There is no set timing for going up to the next level, but it’s important to take lessons that match your ability. Our instructors are always happy to give you advice on which class to take. Dancing is our first line of social activity. Good dancing is a lifetime investment in fun, poise, confidence, improved personality, and new friends. Beyond these, dancing is a superb physical conditioner - providing fun without working at it. It opens up a wonderful new world of togetherness and a thriving year-round social calendar.